So I watched The Maltese Falcon yesterday afternoon, partly in celebration of John Huston’s birthday, partly because I hadn’t seen it in a while. Its stock has risen and fallen with me over the decades, though never TOO low (or as low as it often fell with hard-core auteurists). Now I’m all grown-up and unequivocally accept it as a classic. But this time around, as I was watching Humphrey Bogart making his way from his office to his apartment and back again, I wasn’t thinking about him so much as I was thinking of Philip Seymour Hoffman’s star turn in A Most Wanted Man. And I realized, finally, why so many people who saw that movie are feeling even more desolated by Hoffman’s passing earlier this year. Some perspective: Before Falcon, Bogart had been known primarily as a character actor specializing in bad-guy roles; most of them variations of Duke Mantee, the sneering fugitive killer from The Petrified Forest that established his name on stage and screen. As Sam Spade, Bogart carried some of the sinister aura he’d patented in his previous movies and was able to channel it into what Pauline Kael aptly described as an “ambiguous mixture of avarice and honor, sexuality and fear.” It was Bogart’s first “good-guy” role, though given Spade’s icy duplicity and casual cruelty one could more properly characterize it as anti-heroic, or “bad-good guy”. Nevertheless, the movie’s success made Warner Brothers and, by extension, the public regard this brooding, battered-looking fellow as someone who could be a romantic figure; a conflicted one at times, perhaps, but an enviably tough one for sure. Philip Seymour Hoffman’s situation before Most Wanted Man was quite different from Bogart’s before Maltese Falcon. By the time he’d died of a heroin overdose this past February, Hoffman was regarded as one of our finest actors, perhaps, the greatest of his generation. His versatility won him acclaim, awards and a kind of stardom that hadn’t yet translated to heroic or romantic leads; mostly, he was cast as eccentric, sweet, awkward or malevolent characters. If Kael’s description of Bogart’s Spade could have been applied to any of Hoffman’s roles, it likely would have been Lancaster Dodd, the mercurial cult leader and title character of 2012’s The Master. It’s probable that after playing a such a magnetic composite of eccentricity, sweetness, awkwardness and malevolence Hoffman may have started wondering where else he could carry this trick bag and to what end. So he began trying on some different wardrobe; first as a working-class mensch in God’s Pocket and as Most Wanted Man’s Gunther Bachmann, the rumpled German intelligence operative struggling to finesse the capture of a Muslim statesman suspected of funneling money to terrorists. Gunther is very much in the tradition of John Le Carre’s seedy spymasters; as with George Smiley, Gunther’s idea of getting results is to dig deep, stalk the edges, probe for soft spots and extract information as deftly as possible with no whistles and horns in sight. The strain of maintaining Gunther’s professional integrity shows in the way he wearily saunters into cafes and meeting rooms. Those working with or against Gunther’s tactics seem to have the edge because of their greater physical definition. Yet Gunther’s wooliness is deceptive, calculatedly so. 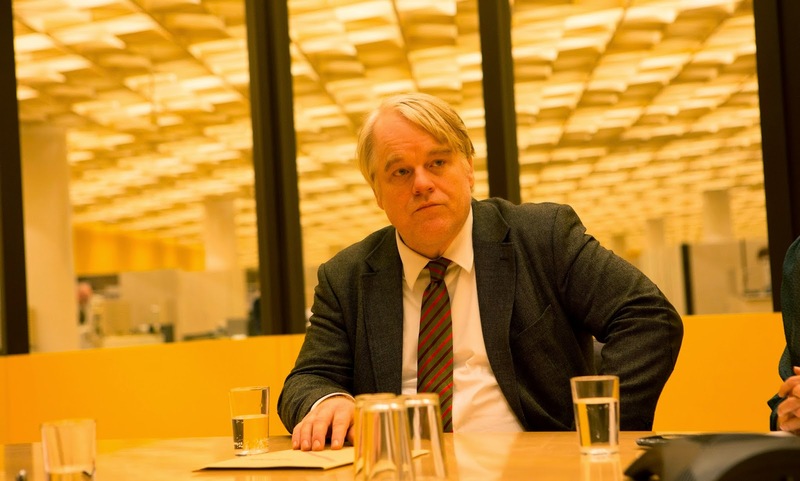 Hoffman carries his character’s authority with a bruised, but stolid Old World dignity. You understand why his team will follow him everywhere and anywhere he takes them – and why his reluctant recruits end up trusting him despite their most urgent reservations. As for the romantic part, there’s a moment, only a moment, where the possibilities make themselves apparent. It comes when Gunther, in an attempt to conceal his presence from somebody on an illuminated nighttime street, grabs his subordinate Irma (Nina Hoss) and embraces her in a faux-make-out clinch. When they break off, Irma’s hand lingers gently on Gunther’s back. The moment passes, but it’s one of the few times in director Anton Corbijn’s thriller where you’re aware of something going on just beyond the narrative’s whirring machinery. You’re also aware of something happening with Hoffman’s screen image beyond his already-legendary chameleon chops. You think of the possibilities opened up by having someone as unkempt as a fraternity hall closet after a beer party somehow embody an heroic archetype that movie audiences throughout the world could embrace as cozily as Irma does Gunther. I’m not saying Hoffman’s performance in Most Wanted Man would have allowed him to pursue his own Casablanca or To Have and Have Not. But, putting it as painlessly as possible, it would have been great fun to see him go for it. The recent death of James Shigeta at 85 evokes a different, but no less poignant sense of lost or forsaken possibilities. Shigeta, as many knowing and respectful tributes have mentioned, had a long and influential career as both dramatic actor and musical-comedy performer. 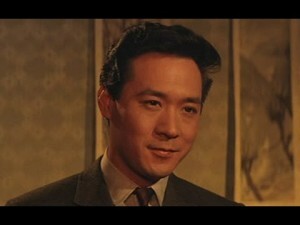 Blessed with a deep, melodious speaking voice, Shigeta broke down racial barriers from the start of his career, playing a police detective in Samuel Fuller’s iconoclastic 1959 thriller, The Crimson Kimino, in which his character becomes romantically involved with Victoria Hall’s imperiled Caucasian witness. It wouldn’t be the only time he’d played someone in an interracial romance or for that matter, someone in a romantic lead. And it seemed for a while as though his magnetism and grace would pay off in major stardom despite the compartments Hollywood still tended to place roles for Asian actors. But Shigeta, though always in demand in movies and television, never became a major star; not even during a twenty-year span – the sixties and seventies – when the nature of what it meant to be a movie star was expanding enough to encompass the previously non-traditional likes of Sidney Poitier, Barbra Streisand and Dustin Hoffman. Maybe the movies couldn’t do it, but television was, and is, a different proposition, more open to tweaking expectations in the name of getting attention – and ratings. Knowing Shigeta was originally from Hawaii made me imagine a bit of alternative history that, had it actually come to pass, might have helped make a different world. It certainly would have made for an obituary different from the ones widely circulated late last month. So let’s all imagine, shall we? LOS ANGELES, July 29, 2014 – James Shigeta, the groundbreaking Asian-American leading man, who achieved his greatest success as star of the long-running CBS police series, “Hawaii Five-O”, died Monday of pulmonary failure. He was 85. Shigeta, born in what was then the Hawaii territory of the United States to Asian American parents, achieved early success as both a movie actor and as a singer who performed in the 1960 film adaptation of “Flower Drum Song,” the Rodgers-and-Hammerstein musical comedy about arranged marriages among Chinese-Americans. But it was the role of Detective Lt. Rick Kawakami on “Hawaii Five-O” that made Shigeta a household name in America and throughout the world. In the process, it accelerated the broadening presence of non-white actors on the big and small screens in roles that traditionally went to whites. 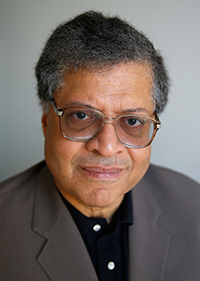 It very nearly didn’t happen, according to the late Leonard Freeman, who created and produced “Hawaii Five-O.” Back in 1967, when the idea for a series about an elite crime-fighting unit based in Honolulu reached the development stage, Freeman recalls that while casting Asian actors as cast regulars was never in doubt, the notion of the team’s leader being Asian met with resistance from CBS executives. Shigeta, who jumped at the chance for steady work in the land of his birth, made his own pitch to CBS executives. Apparently that was all it took – and the rest was television history. “Hawaii Five-O” ran from 1968 to 1980. Shigeta’s good looks, resonant voice and ramrod presence allowed Rick Kawakami to become as familiar to TV viewers as James Arness’ Matt Dillon from CBS’ comparably durable “Gunsmoke.” Backed by a team that included James MacArthur, Kam Fong and Gilbert Lani Kahui , whose professional name was Zulu, Kawakami’s often-impassive leadership style created what TV critic Ken Tucker would later characterize as a “paradigm of absolute cool” that actors of all nationalities would try duplicating with mixed results. What helped seal Kawakami’s immortality was the way Shigeta would reliably intone, at or near the end of each episode, “Book ‘em, Dann-O!” to MacArthur’s Danny Williams with silken, yet icy resolve. Shigeta was nominated for Emmys six times in the show’s 12-year history, winning in 1969, 1970 and 1973. Once the show achieved success, Shigeta used his growing influence to ensure that other non-white actors would be given roles that would not be denigrating . He especially made sure that all his co-stars received extensive screen time, even their own episodes. Kahui and Fong credit such exposure for securing roles in major motion pictures, including 1988’s “Die Hard” in which they played Asian businessmen who sacrifice their lives for hostages. Shigeta recalled being exhausted by the time the series ended in 1980 and took a leave of absence from show business. Hawaii Democrats proposed that he run for governor in 1986. Though intrigued, Shigeta demurred, insisting that, however much he wanted to effect change for people-of-color, he could do the most good in his chosen profession. Instead, he agreed to ease back into the medium in a recurring role on “L.A. Law” as Judge Danforth Akiyoshi.